I know it’s not quite the new year yet, but I have been looking back over this past year and 2014 has been a year of new things: new adventures in fitness (my first triathlon! ), new health challenges (hip problems, ugh), a new home (yay!! ), and some new traditions for the upcoming holidays. Things have changed over the years and we are branching out into new and exciting things in our lives and we are establishing some new holiday traditions with our family. One of them is doing my own holiday cooking and hosting holiday meals and parties at our house. I need to up the ante on my cooking skills and come up with some new holiday party recipes – they have been rusty to say the least! In the 10+ years Zach and I have been married, we have never really made our own Thanksgiving or Christmas dinner. With our new house and more room to entertain, we are devoting more time to holidays this year: hosting dinners/parties, spending more time at home creating memories, and taking the time to decorate for the holidays to create a festive and warm atmosphere. As we sat and planned our Thanksgiving dinner, we weeded out some of the traditional foods that we didn’t really care if we made or not. Stuffing? Nah. Cranberry sauce? My husband isn’t a fan. Dinner rolls? Maybe not. Green bean casserole? Not a favorite either. Some of the traditional fare normally served at Thanksgiving just didn’t seem to fit us. We wanted something different. So, we are smoking a 15-pound Turducken with creole sausage filling (it’s allergy friendly! ), alligator sausage, and I’m making some pies, salads, Easy Chipotle Dip, and Slow Cooker Mashed Sweet Potatoes. I decided to keep it simple as far as side dishes – nothing too complicated or fancy since it’s my first time making Thanksgiving dinner. 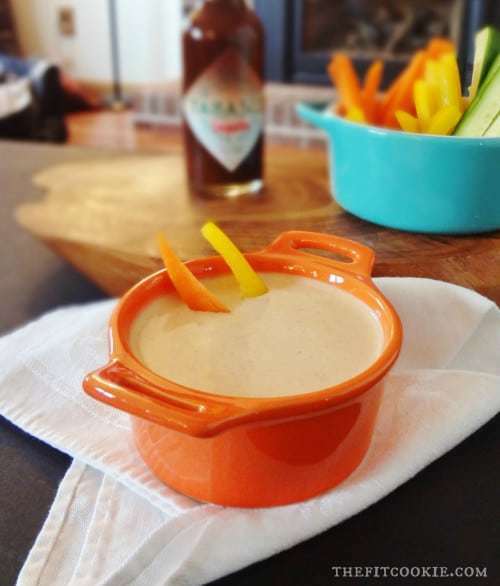 This Easy Chipotle Dip is just that – it’s super easy! It takes maybe 5 minutes to put together so you can focus on your other holiday dishes and your guests. 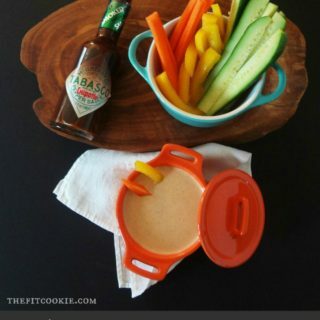 Chill and serve with fresh veggies. 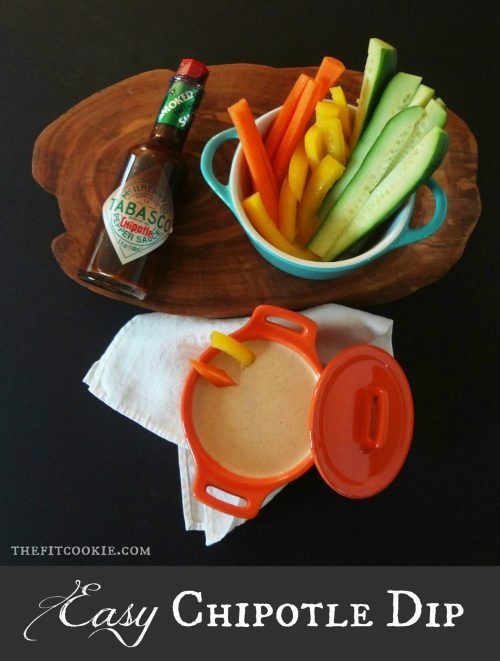 If you don't want your dip to be very thick, mix in some canned coconut milk to help get the consistency you like.